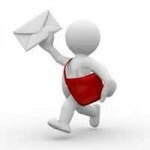 YOUR BEST NEWSLETTER WORK YET! Thank you Paul and Gloria … keep it coming! So much empathy with this consumer spending “disease,” at least here in the U.S. Every click of the mouse, every open tab, every search, everywhere, all of the time, survey this, survey that, coupon this and that, big savings, on-and-on, spying, lurking on your every moves like a spider awaits his prey (“Web” is so appropriate in that case). 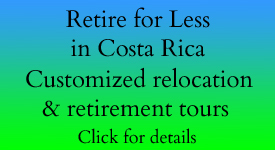 I cannot agree more with Rob Evans’ article on spending (The Best Way to Live for Less in Costa Rica (or Anywhere). Let’s face it, one cannot and doesn’t want to retire with this “spending” mindset anywhere in the world, let alone in South America and particularly on a restricted, fixed income. Those that have not yet come to this realization and continue to live their lives on that path will continue to be miserable and blame anything or anyone but themselves, no matter where they are. Tragically, they will bring those bad habits with them thus spoiling the broth for everyone else. Learning to live a healthy life, frugally, and because money isn’t everything, brings one great satisfaction and happiness and is worth all the gold in the world. Enjoy your “Pura Vida” Paul and Gloria. You have been a great inspiration to me and the source of astounding information. I hope to come and visit once I am established in Cuenca. Hey y’all. Love the big issue of the newsletter. Even though we have sadly had to give up our aspirations of moving to Costa Rica, I still secretly harbor the thought that something might change that. Healthcare is one of the issues affecting our decision. For those of us with pre-existing health conditions, it’s not a pretty picture. For me, my diabetes products would cost about $2,000 a month if I had no health insurance. They might be slightly less in CR, but probably not by much. Caja won’t provide the items I use (I checked it out) and the national insurance still doesn’t cover pre-existing. After learning that I can’t use Medicare in CR (or anywhere else outside of the U.S.), it leaves me with the option of self pay or trying to get payment from my Blue Cross medicare supplement policy. That means file a claim with Medicare first, wait for the rejection, refile with Blue Cross, and hope they pay something. My husband takes a medicine that costs $1385 a month, so same issues. There’s no way we can afford this on our retirement income. 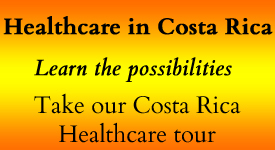 QUESTION: So how do retirees with health issues pay for care in CR? Have we overlooked something? QUESTION: Has anybody figured out how to do this? I see LOTS of questions on the internet but very little solid information. Even the cost of paying for the receiving agent is variable. It’s $1000 to pay an agent but I can’t find out if that’s per arrival en mass or per dog. It’s just a shame that we feel hopeless about being able to get there. Of course, if we were to win the Lottery…….yeah, we’ll be there with bells on! So glad y’all are still happy and healthy, Paul and Gloria, and loving your life there. Vikki, take a look at the MediSmart information above. It includes a discount on pharmaceuticals, but I’m not sure it is enough to be a significant savings. Perhaps some of our readers have suggestions. Regarding pet transport, one resource you might want to check out is a company we became familiar with at last year’s International Living conference in Costa Rica. 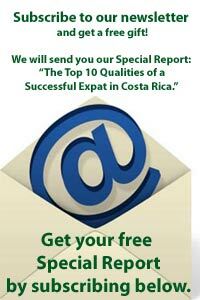 Pet Lounge CR offers transport for pets within Costa Rica and internationally, with both import and export services. They also offer veterinary health certificates, kennels and accessories, as well as pickup and delivery of your pets within Costa Rica. There’s no doubt about it, transporting 10 dogs will be expensive. But maybe these folks can help. Again, if any of our readers have suggestions, please let us know. Hi you Guys. Since health care here in CR is always a topic for expats and would-be expats, I wanted to tell you about my experience. I recently had hernia surgery here in San Ramon. Of course, there is usually a lot of negative commentary. So, first the negative. I waited a long time to get this surgery, close to two years. When I was first examined, I was told to expect a six month wait, with the admonition, if it hurts at all or grows go immediately to the emergency room. For most of the time I was waiting, it had receded and seemed like it was gone altogether. Well, about 4 or 5 months ago it showed up again and began to bother me a little, right about that time I received a call from the hospital to come in within a few days for the surgery. Once I got past the admissions bureaucracy — you know, “please come in at ten” and sit until 12, then a ten minute paper check in, and then, “please come back at 2.” Arrive at 2. And at 3:30, actually check in. From that point on, nothing but very kind, professional treatment by the staff. The surgery area rooms are modern and immaculate! The operating salon is state-of-the-art. Overall, an experience that has reinforced my confidence in the Caja. Thanks, Joe, for telling us both the positive and negative. We want our readers to consider Costa Rica with their eyes open to reality. We think it’s important to show both the good and the bad.